Buy a Gallon, We Give a Gallon! 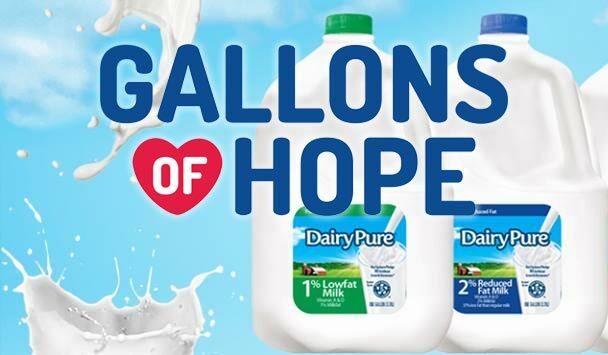 For every gallon of LAND O LAKES® DairyPure® milk sold from March 17-27, Dean Foods will donate one gallon to Second Harvest, up to 5,000 gallons! You buy a gallon*, we give a gallon. *No other action is required on your part.